5. On the screen that pops up, you will be asked if you are sure you want to unblock the person, tap on "Unblock"
3. Click on "How do I stop someone from bothering me?" 4. Click on "View All Blocked Users"
5. Click on "Unblock" next to the name of the person you want to unblock. 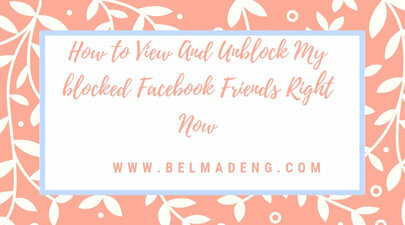 6, On the pop-up screen, you will be asked if you want to unblock the person, click on "Confirm" at the bottom of the pop-up screen to unblock that Facebook friend.